We all know how pumped Winnipeg was to get the Jets back, and those who visited the Gateway of the West this winter may have seen that Budweiser commemorated the return of the NHL franchise by releasing Budweiser Fan Brew: Budweiser, but made with Winnipeg water (Insert joke here). Here’s how it worked: Budweiser poured water from the taps of several of Winnipeg’s beloved locations, shipped it to their brewery in Edmonton for beerification, then shipped it back to the lovely people of Winnipeg in these sweet Jets cans. And guess what? It tastes like Budweiser! 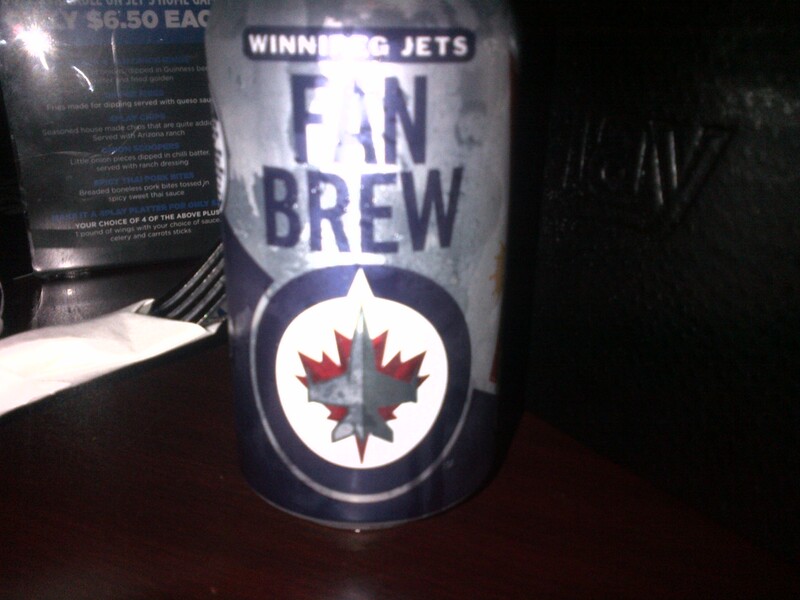 But when enjoyed before a Jets game in Winnipeg, you can appreciate the spirit. So if in the Peg next winter, grab one of these at the MTS centre, or at 4play accross the street. Then, I’d recommend washing it down with a Half Pints St James Pale Ale – a refreshing drink from Winnipegs ONLY locally owned and manufactured craft brewery…what? someone get on that scene maaan. ← Chick Beer – Tapping Into Female Market or Just Stupid? You Guessed It.